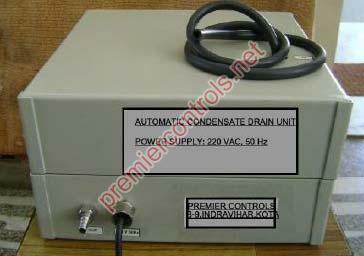 Located in Rajasthan, India, we are actively functioning as a trustworthy Manufacturer and Supplier of Automatic Condensate Drain Unit all over the nation. Compact in size and precisely designed, our Automatic Condensate Drain Unit has attracted many buyers from all round the country. Further, it is non-corrosive having long functional life. Buyers can get it from us in not only small order but bulk orders as well and at minimal prices!